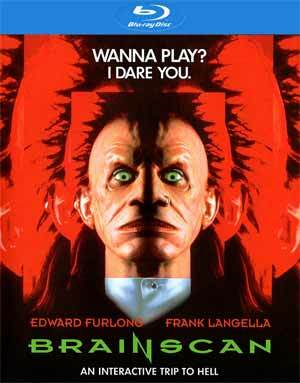 Brainscan is a fun 1990s horror-comedy starring Edward Furlong still on fire post Terminator 2, and has elements of The Nightmare on Elm Street, even if the writing or acting isn’t the best. When Michael, a lonely teenager (EDWARD FURLONG), orders the latest interactive video game, the new high-tech wizardly penetrates his subconscious, where his darkest impulses lead him through a deadly maze of murder, deception and desire. 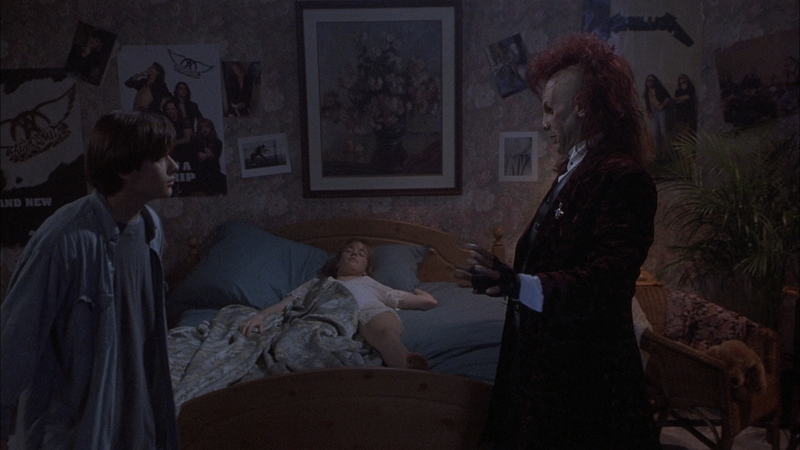 Pursued by a homicide detective (FRANK LANGELLA) and prodded by “The Trickster” (T. RYDER SMITH) who materializes into his room, Michael is torn between the worlds of good and evil, of reality and fantasy and, ultimately, life and death. Audio Commentary – Tara Georges Flynn, the son of the late John Flynn, served as the assistant to the director and he recounts his days working on the film as well as memories of his dad. Moderated by Michael Felsher from Red Shirt Pictures. Trickin with Trickster (5:09; SD) is a vintage behind-the-scenes featurette with a variety of footage of on-set and promo fun. Deleted Scene (1:38; SD) was assembled from a recently discovered VHS tape of film dailies owned by Mike Smithson. Behind-the-Scenes Footage (7:47; SD) is just some raw on-set footage. Rounding things out there is the Teaser Trailer (0:39; HD), Theatrical Trailer (2:02; HD), a TV Spot (0:33; SD), Behind-the-Scenes Photo Gallery (1:15; HD) and a Still Gallery (1:55; HD). 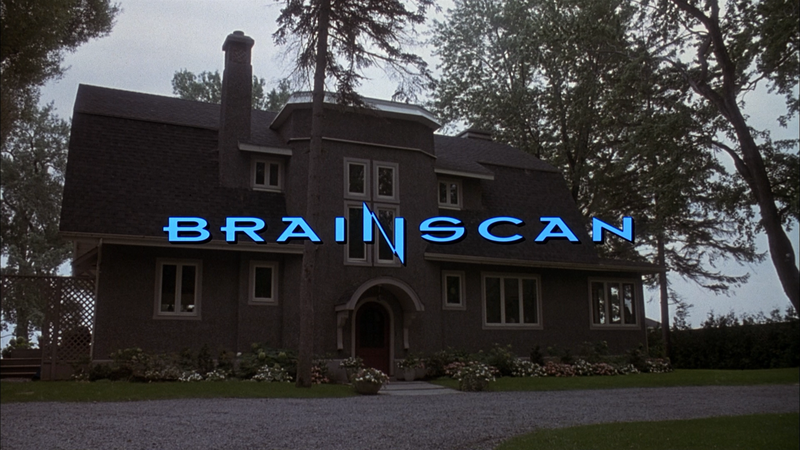 Shout Factory releases Brainscan onto Blu-ray presented with a 1.78 widescreen aspect ratio and given a 1080p high-definition transfer. Given there’s no mention of it on the back cover, presumably the transfer was given by the original distribution studio, Sony Pictures Home Entertainment, and even so, detail wasn’t at all bad, colors appeared to be decent and outside of some minor specs or dust marks, was fairly clean. The disc comes with a basic but well rounded DTS-HD Master Audio Stereo track which outputs clear dialogue levels and there is some minor depth during the more active sequences such as the murder scenes or when Trickster is messing around. 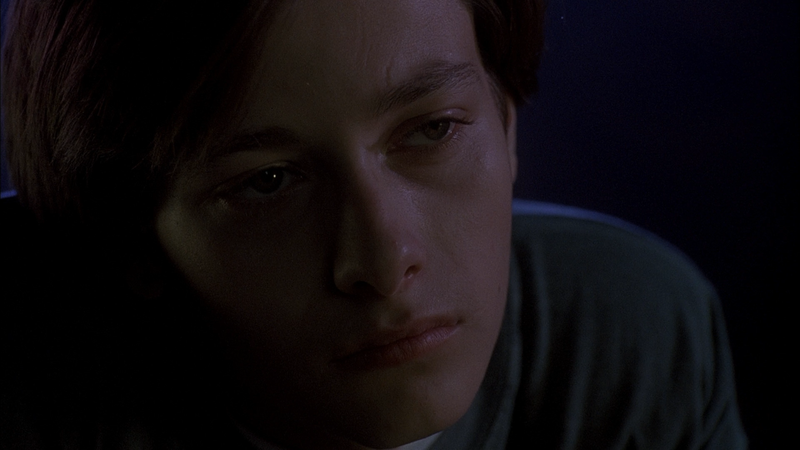 Overall, Brainscan is a fun 1990s horror-comedy starring Edward Furlong still on fire post Terminator 2, and has elements of The Nightmare on Elm Street, even if the writing or acting isn’t the best. The Blu-ray release offers up nice video/audio transfers and a good selection of special features.